Alia Bhatt's Beauty Game Has Just Gotten Stronger With Time, Here's Proof! 2012: The first look we ever got of Alia Bhatt on the big screen was this moment-flaunting a bold red lip, blow-dried wavy locks and thin eyebrows. 2012: A week later after the release of Student Of The Year, Alia was seen at an event with natural make-up, little mascara, a line of kohl and a touch of lip gloss. Somehow, none of it was working for the good-looking actress. 2013: A year later, Alia Bhatt still chooses to look older with her puffed hairdo and simple kohled eyes. It seemed that while she was open to experimenting with her jewellery, we wish her make-up brought out her powerful personality. 2014: A few months pass and Alia Bhatt ditches the lip-gloss for a bold red lip and her not flattering puffed hairdo. 2014: The movie that established Alia Bhatt as a powerhouse performer, the actor had NO make-up in Highway. A break from the dreaded, cakey look, we absolutely loved the change. 2014: This month marked a hair revolution in the actor’s life. Alia opted for retro waves and fresh-dewy makeup that defined her cheek bones. 2015: A treat to our celeb-obsessed eyes, her braid hair and soft pink lips checked all the right boxes. 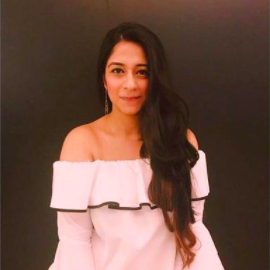 Could Alia look anymore pretty? 2015: We really fancy how Alia Bhatt found her beauty look so young. The sleek hair and the smokey eye made her look fabulous for an awards’ functon. 2016: Alia Bhatt is a clear fan of smokey eyes now— just like us. The sleek hair bun is so flattering that we suggest you try it this wedding season. 2017: Alia’s ethereal skin, bubble-gum pout and kohl eyes are the reason we fell madly in love with the Best Actress of 2017. July 2017: Grown up and glamorous: Alia’s red-carpet go-to sleek hair in a ponytail, smokey eyes but natural looking make-up made her every inch of the diva she already is. July 2017: Wow- easily our favourite Alia’s look till date! With matte orange lips, straight hair and tinge of orange in her eyelids, she was the official show-stopper and on the cover of all beauty columns as inspiration to all us women. November 2017: Blindly follow Alia Bhatt's kohled eyes and glowy skin make-up routine the next time you wear a salwar kameez. We are huge fans already! 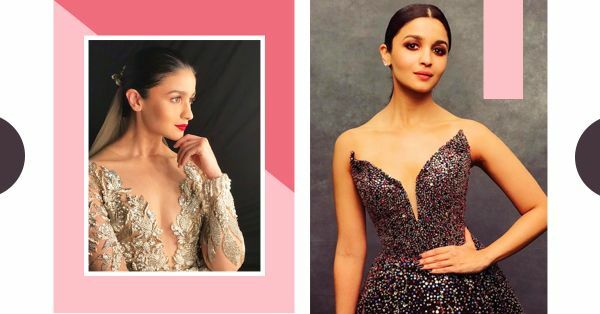 December 2017: You have got to give it to Alia Bhatt — her look is totally working. The actress showed off her retro waves and brown eyeshadow dominated eyes to perfection.